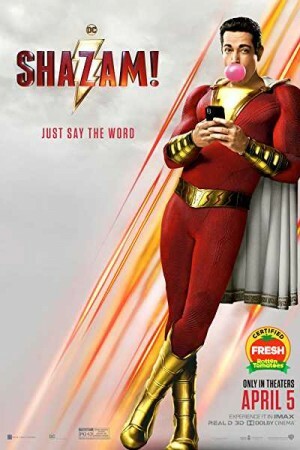 Shazam is an American superhero film and the 7th instalment of DCEU (DC Extended Universe) that revolves around a teenage boy named Billy Batson who can transform into an adult superhero. However, being a kid inside a godlike heroic adult, the new superhero reveals doing things that a teen with superpowers would do, like having fun and trying to show off. From skipping school and tests to try to fly, x-ray vision, and shooting rays from hands, Shazam tests the limits of his superpower abilities with a child’s joyful recklessness. But when a deadly evil force creates mayhem, he must master his powers to fight and save the world. Company: DC Comics, DC Entertainment, Warner Bros.